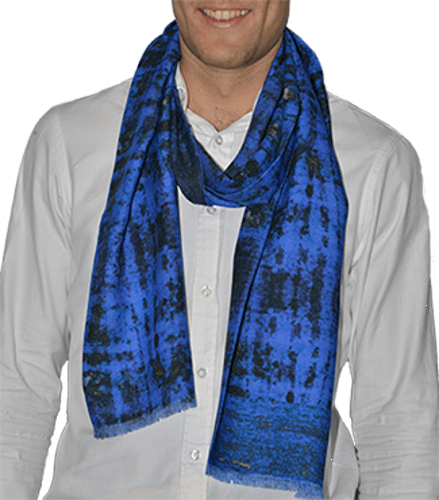 Tweed as you have never seen it before - especially using the rich blue hues of Lapis Lazuli. It's a luxurious scarf that is light enough for spring days and warm enough for winter days, stylish enough for the office, and casual enough for a country walk. That it uses a high resolution scan of Lapis Lazuli - a rare mineral only found in Afghanistan, where it has been mined for 6,500 years, and long been prized by artists - makes it all the more special. The 30% silk mixed with high quality wool makes for a luxurious feel that is enhanced by the generous length (178 cms). 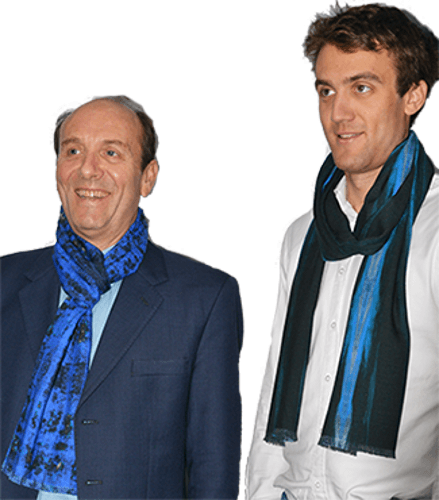 The doubled up width means there is no front and back (found with cheaper scarves), so it can be worn any which way. It has been digitally printed near the banks of Lake Como by the same company that produce our women’s scarves, and features an elegant fringe at each end, and a traditional unembellished pattern at one end.